Need Our Help Call Now! We are proud to offer fast, reliable, and safe tow truck services in Noblesville. When our customers need us, we're there in a flash. No one plans to have a breakdown. Breakdowns always seem to happen at the worst possible times, like in rush hour traffic, in the middle of the night, or during a snow storm. Whatever the problem and whenever it strikes, our team is standing by 24/7/365. Need a tow? Call now. Whether you've broken down or an accident disabled your vehicle, we'll be there to tow you in a flash. No matter the weather condition or time of day our drivers thrive on the challenge of overcoming obstacles to get to our customers. That's why our customers voted us the best towing service. If you are searching for a tow truck company in the Noblesville, IN area, you've found the place. Our team members pledge to provide the best customer service. Speed and reliability are cornerstones, of course, but we go beyond. Many times, it's difficult to know exactly what may have caused your vehicle to break down. That's why we offer on-the-spot diagnostics and auto-repair services. If the problem is something we can fix right there, we'll be happy to take care of the issue and get you back on the road. Otherwise, we'll take your vehicle to the repair shop or dealership of your choice. If you need a recommendation, our team knows the most reliable and cost-effective repair options in the area. Accidents happen to the best of us. Even if you have the skills of an Indy driver and obey all traffic laws, the law of averages catches up to everyone. Besides, you can't control what other drivers do. We've seen all types of road mayhem and know it can happen to anyone. When you need wrecker service, you need it fast. Give us a call and we'll get you towed right away. 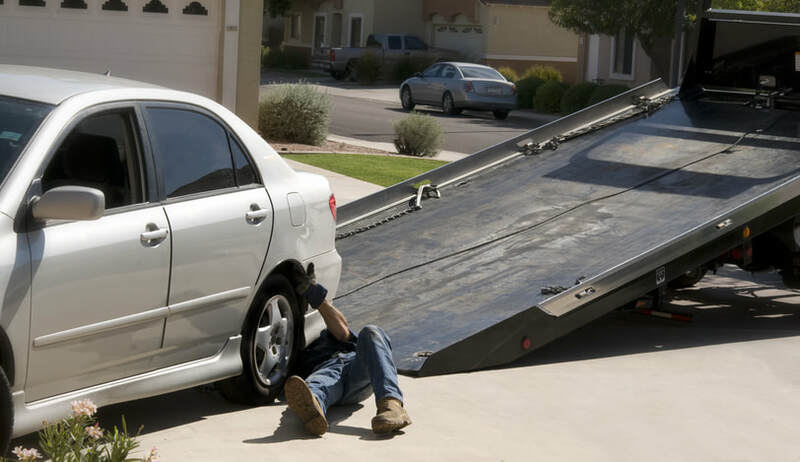 Our towing service also handles many municipal auto accidents. We clear the wrecks quick so traffic can get through and the people involved in the accident can get back home. Whatever the vehicle and wherever it is, we'll get it towed. Call now. Towing service is all about timing. Because no one knows when they'll need a tow truck, we're always on duty. Our drivers are accustomed to working their way through rush hour traffic to clear wrecks out of intersections. They also find stranded drivers on back roads in the middle of the night. When a Christmas Eve snowstorm leaves someone stranded, we're there in a flash. This business is about helping people, and we pride ourselves on being there at the worst of times. We provide all types of tow truck services. In addition to roadside assistance, we also provide 24 hour towing for commercial businesses. We can tow unauthorized and illegally parked vehicles whenever necessary. Our clients include industrial sites, retail stores, restaurants, and apartment complexes. Has a vehicle been abandoned on your property? Give us a call. Most of us hate to admit it, but we've all done it. In a rush, you slam the car door behind you and then realize the keys aren't in your hand. You look in the driver's door window, and there they are, lying on the seat. It's just human nature. If you need lock out service, give us a call. We'll be there in a flash and have you back in your vehicle in no time. Compared to other car problems, a dead battery is a picnic. Rather than costing a fortune and taking up a gargantuan amount of your time, all you have to do is give us a call. We'll be there in a jiffy and have your car running in minutes. We'll also test your battery to make sure you don't end up stranded again with our jump start service. Our team loves these calls. They change flat tires with the efficiency of an Indy 500 pit crew. Whether you're in your front driveway or on the side of the 465, we'll get you back on the road right away. Whatever the problem, we'll take care of it. Our services extend throughout Northeast side of Indianapolis. We can tow your vehicle wherever it needs to go, be it a tow to Noblesville, Broad Ripple, Crawfordsville, or Muncie. If you need roadside help, call now. If you're looking for reliable towing service, give us a call and find out why we're the best towing company in Noblesville, Indiana. Our staff pledges to provide fast, courteous, and dependable service. Our prices are great, too. But we provide more than cheap towing. We provide peace of mind and a pleasant experience that won't burn a hole in your wallet. Call now for tow truck service Noblesville, Indiana. No matter the time of day or the weather, we'll be there in a flash.